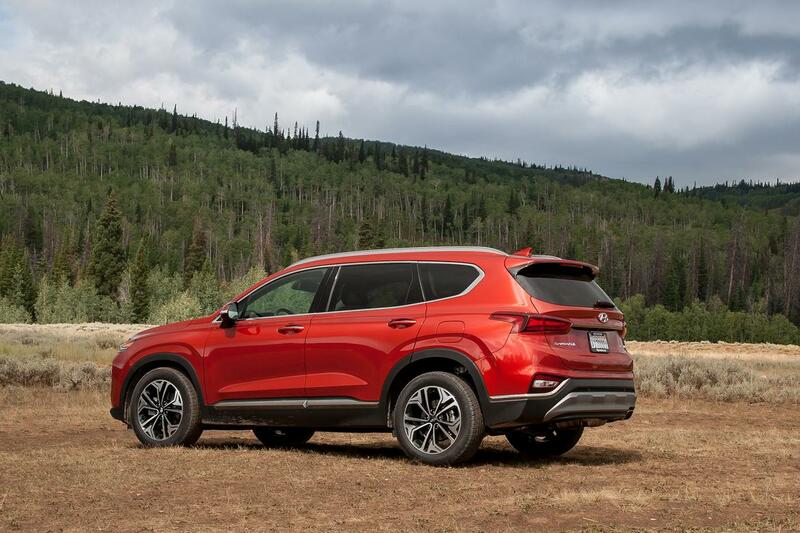 in what has been an ongoing battle for weeks now, the 2019 toyota rav4 has consistently edged out the 2019 hyundai santa fe for most popular review on our site, but it's always been close. well, finally, it's the santa fe's time to shine as it has taken the top spot for this week. reviewer mike hanley found the santa fe does a solid job of carrying on hyundai's mission of offering shoppers more for less despite some drivetrain quirks from the standard 2.4-liter four-cylinder, optional turbocharged 2.0-liter four-cylinder and eight-speed automatic transmission paired with either. despite those quirks, "hyundai has long been known for giving shoppers a lot for their money," according to hanley. "the redesigned santa fe reinforces that reputation with its long list of standard active-safety and technology features at a starting price thousands of dollars less than some competitors. there's a lot here to like — especially if the drivetrain quirks aren't deal-breakers for you." hanley's full review is linked below. the most popular video this week is, once again, our head-to-head comparison of the 2019 ford ranger and 2018 toyota tacoma. our review of the new 2019 lexus ux 200 comes in second, followed by our first drive of the updated 2019 mazda mx-5 miata. new this week in the fourth and fifth spots are our first drive of the all-new 2019 honda passport and our first impressions of the revised 2020 ford super duty trucks, respectively. check out the top five reviews and videos of the week below.